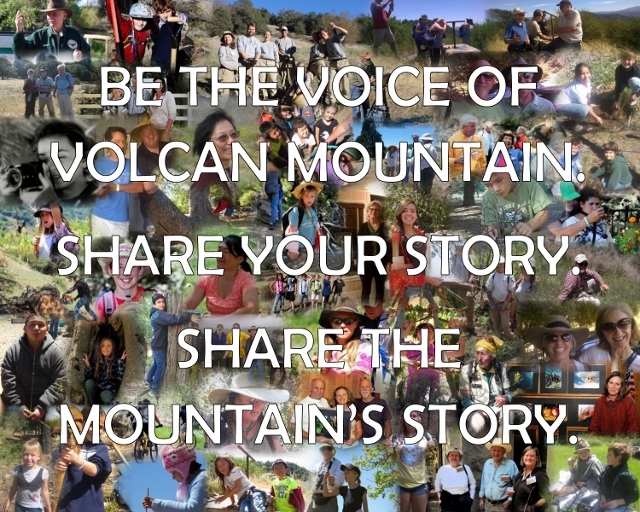 Give Voice to Volcan Mountain -- Share YOUR Volcan Mountain Story! 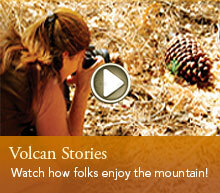 What is YOUR Volcan Mountain story? How do you connect with Volcan Mountain? What does Volcan Mountain mean to you? The Volcan Mountain Foundation is looking for personal stories from all reaches of the Volcan Mountain community that will be shared starting at this year's Dinner Dance. Would you be interested in sharing your story and letting the mountain speak through you? By sharing your stories, you help to give voice to the mountain. That voice helps create empathy, caring and understanding about what a diverse and vital place and community that Volcan Mountain is, and why we need to protect and nurture it. Call us at 760-765-2300 or complete the short form below to let us know that you'd like to give your voice to Volcan Mountain. We'll contact you to set up a short interview and add your story to the narrative legacy of keeping Volcan Mountain wild!